A complete Electronic Flight Bag for Embraer Phenom 100 and 300 aircraft. 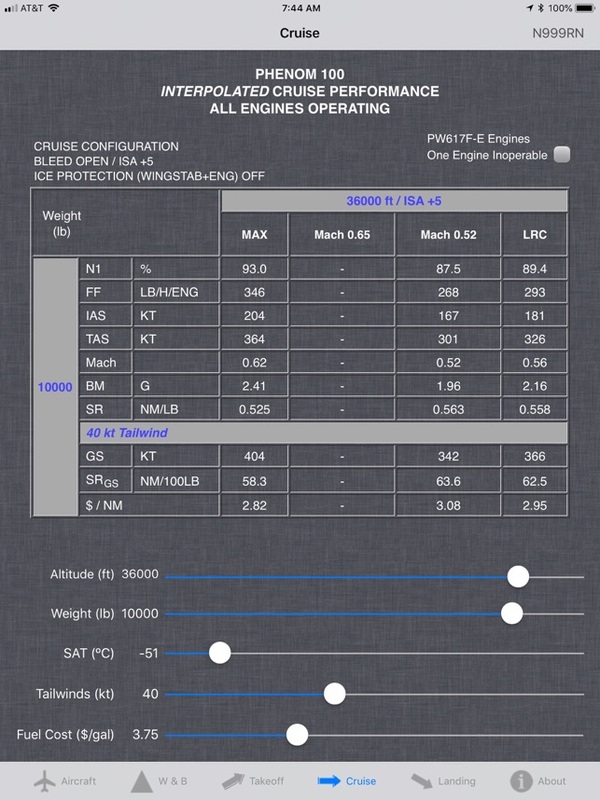 Calculate weight and balance, takeoff, cruise and landing performance data. All in one, easy to use app. Current membership in the Phenom Jet Association is required to use this application. 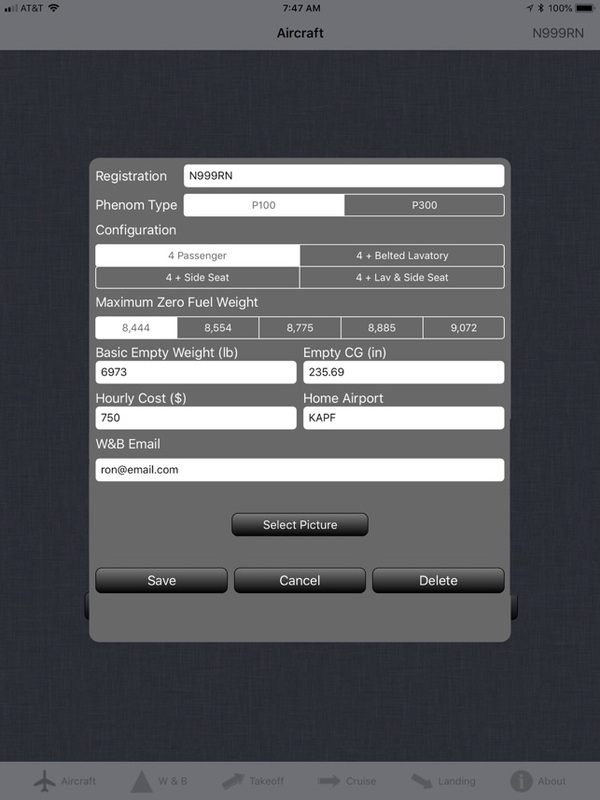 Store weight and balance data on all your Phenom 100 and 300 aircraft. Easy to input weight and balance computation with real-time graphical representation of CG envelope. 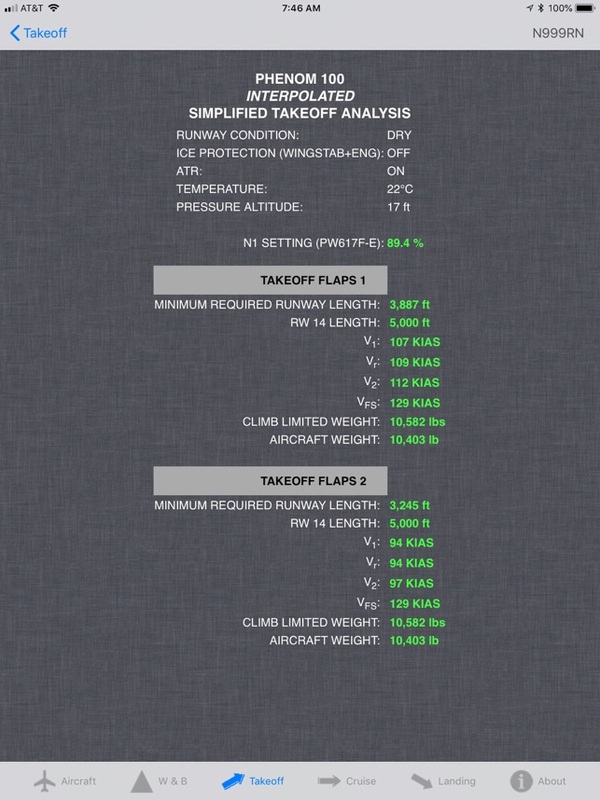 Calculate takeoff and landing MAC and interpolated takeoff and landing calculations based on POH data. Includes world airport runway database. Automatically populates airport weather data from most recent METAR (requires Internet connection). 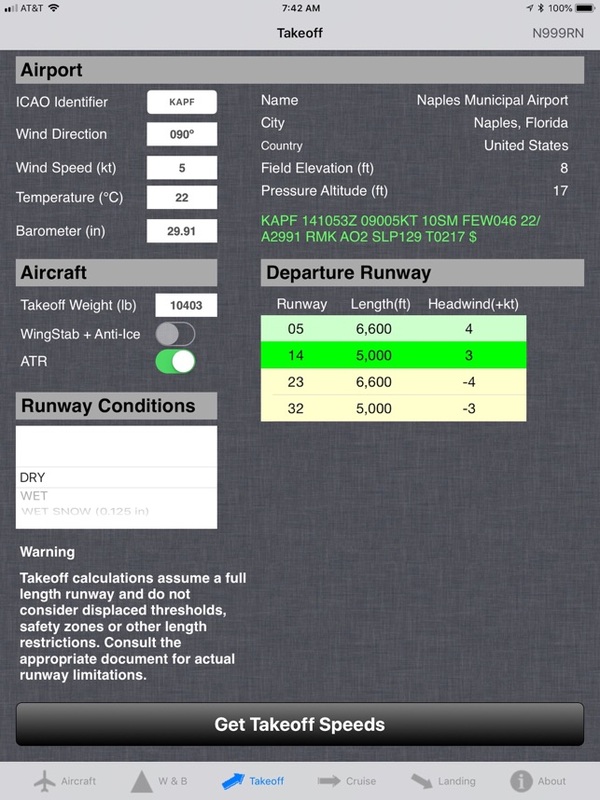 Calculates data for all POH provided runway conditions. 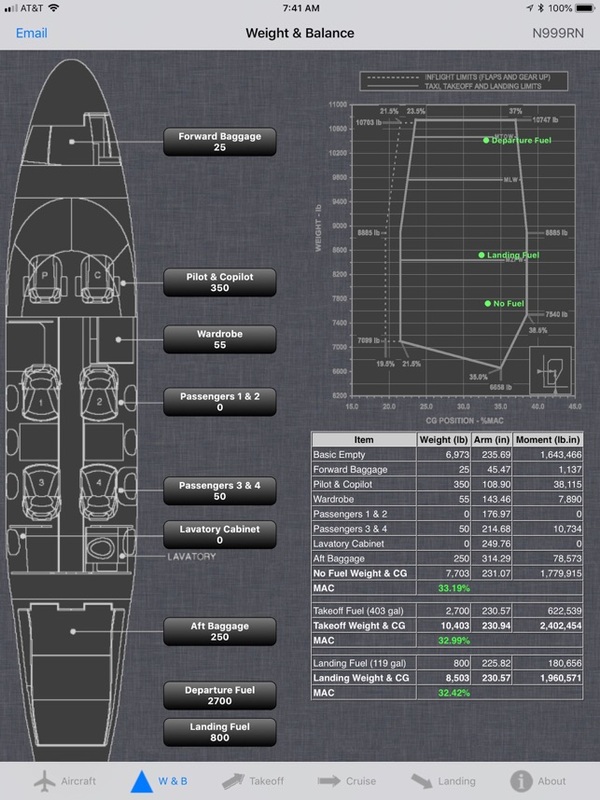 Interpolated cruise performance calculations from POH data. 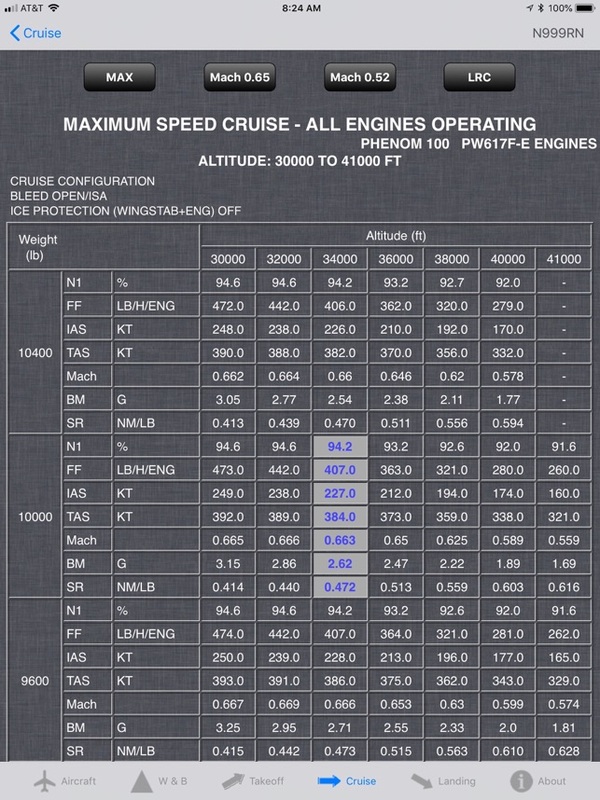 Provides specific-range calculations adjusted for winds aloft for all POH provided cruise settings allowing pilots to calculate maximum range cruise speeds based on wind, altitude, SAT and weight. The myPhenom app is for educational and demonstration purposes only. Always refer to current FAA manuals for flight planning. 1. The latest weight and cabin configurations for all current Phenom models. 2. NI engine settings for takeoff. 3. 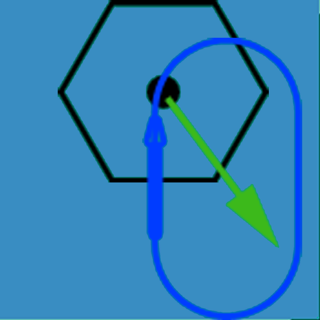 Single-engine operation during cruise. 4. Weight and temperature limits during hot and high operations. 5. Warning messages regarding runway length restrictions. 6. Updated worldwide airport database. It is a wonderfully app, but is any way to change pounds into kg for the EASA guys!! Thank you very much for this App .